Have you ever used lavender? It’s known for being an anti-septic, an anti-viral, and relaxing essence that is also kind to the skin. Last year a friend sent me a packet of lavender seeds to plant, as well as some dried lavender when I was going through a period of not sleeping very well. We planted the seeds this year, but with all of our crazy yard-work, I fear they were planted too late and it isn’t coming up; in fact, there is no sign of it. We’re still hopeful; one never knows how Mother Nature works. If it doesn’t make an appearance before the cold, wet weather of winter sets in we’ll have to purchase some more seed and start again in the spring. I thought it was such a sweet gesture from my pen-pal to send this unexpected gift to me that I wanted to thank her in some way. So what better way is there than to share a piece of the UK with her that contains her own lavender? These little lovely lavender-scented hearts are cute and so easy to make. The supplies are minimal, and the time is short. Just the perfect thing for me! I’ve had a couple of small squares of Scottish tartan I bought in Edinburgh several years ago pre-marriage and kids. I haven’t yet got around to doing with it what I had in mind at the time, but it works just perfect for these little beauties. 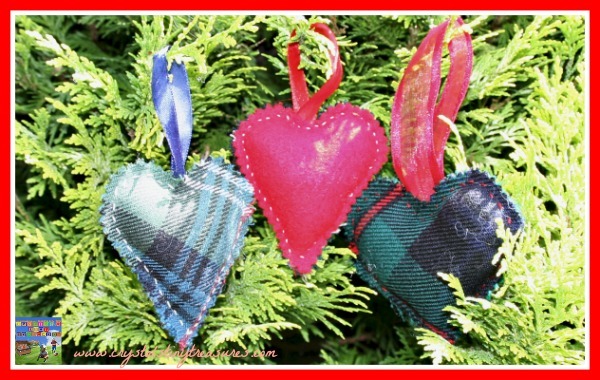 I made a heart-shaped template on a piece of paper and then pinned it to the tartan and coordinating felt. I cut the fabrics out using my grandma’s pinking shears to give a nicer edge effect. I began doing a simple straight stitch around the edge of the hearts while they were pinned together (but after the template had been removed) to ensure that they stayed even at the edges. I used some embroidery floss for this and I decided to use a colour that would show up against the tartan to add a little interest. 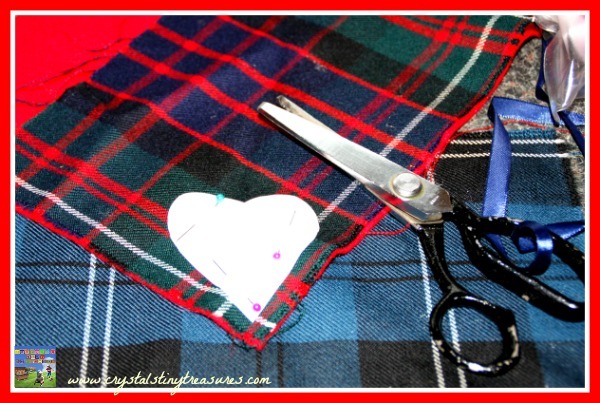 When I came to the top of the heart, I inserted a little piece of ribbon between the tartan and felt pieces and stitched them into place. I left a space open at the bottom of the heart and used this opening to push in some polyester stuffing until it was nice and puffy. Then I added a little scoop of dried lavender into the hole, followed by just a little more stuffing to help hold it in and stitched the heart closed. I like the simple look of this heart, but you can certainly add your own embellishments to the front or back of the heart either before or after you sew the pieces together. A hand-stitched initial, a button, or some beads would look great. Although I’ve made the ones shown here, Tristan has been sewing since he was 3 and is quite competent in making these. In fact, he likes to tell me that he’s better at sewing than me because he doesn’t prick his finger! 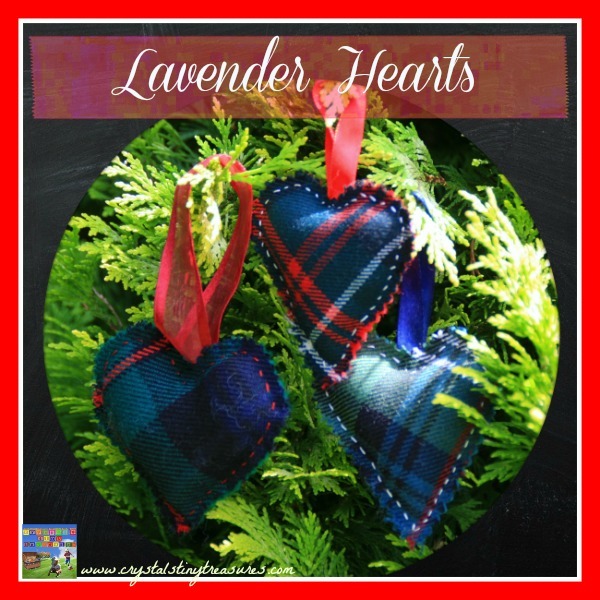 These little lavender tartan hearts can be used to freshen up an underwear drawer, make a pretty Christmas tree ornament, or hang on a doorknob or near (but not within reach) of a child’s bed for some soothing night time relaxation to help them drift off into sleepy slumber. Does the scent of lavender work for you? There was a time I REALLY didn’t like the scent, but it has been growing on me and these bags are just lightly scented by choice, so they work well for me. What is your favourite go-to-sleep-solution? 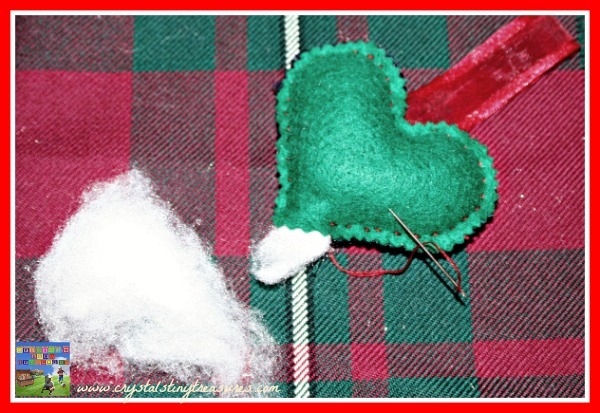 Checkout our pages for more ideas on felt crafts, Valentine’s Day ideas, and all things Christmas. That is super cute! I could use one of those to make our drawers smell good. That would be nice 🙂 We’ve had a packet of lavender in our closet and the towels smell nice at bath time. If I made one of these hearts, it would look pretty, too. Cute little hearts, they look good hanging on the tree! Great idea! My girls love to pull out a needle and thread and try to sew! These would be perfect! These are cute! Thanks for sharing! 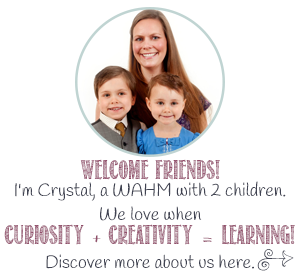 Thanks for sharing Crystal! I make ornaments with my girls each Christmas. I think I’ll use these as this year’s homemade ornament. What an honour 🙂 Have a great time making them. I love making Christmas ornaments as then you can remember each year as you hang them again and again. Those are so cute! I love lavender. I love how it calms me the moment I smell it! I must admit, it was an acquired scent for me, and I don’t like it very strong. But if it works, I won’t knock it! How cute these are! I have always heard that lavender can help ease anxieties, help you sleep, relax you. This would be a perfect gift! Stephanie, I read your comment last night at 3am when I couldn’t get to sleep-but was too tired to get up and get one for my pillow! I’ll be better prepared tonight 😉 Sweet dreams! Those hearts are really cute! I had so many projects that start off many years before they get accomplished! I know how that goes! I’m glad I’m not the only one 🙂 I’m thinking I’ll have to start gifting some of the untouched projects I have to others who would get some joy from them. I wish I knew how to sew! This looks fun! 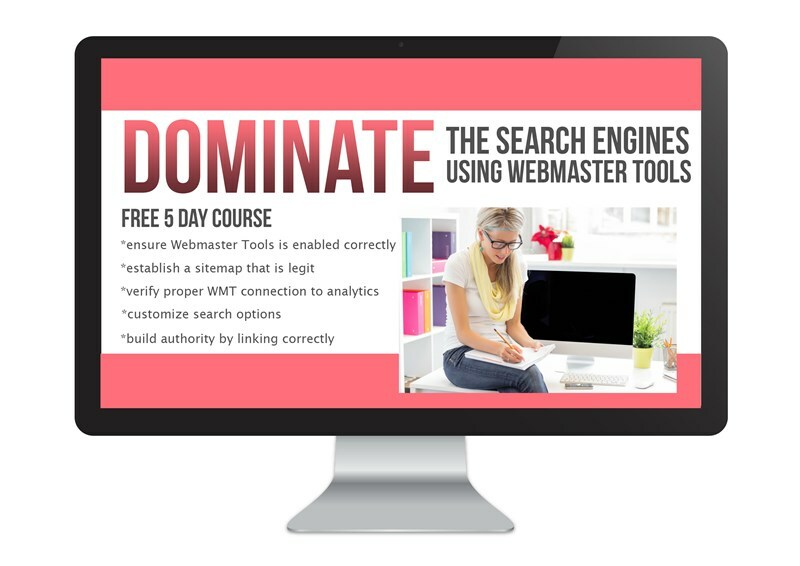 This is a great way to start, you can hardly go wrong with this. It’s the basic stitch, and trust me-if i can do it (though my 5yo tells me he’s better at sewing than me! 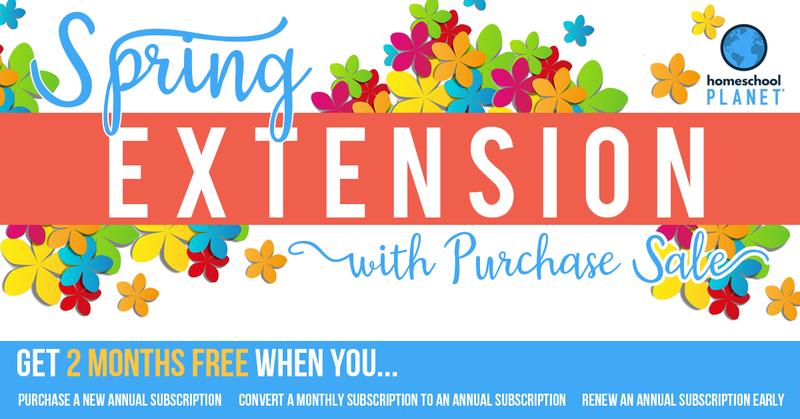 ), so can you! These are ADORABLE and an excellent idea for a homemade Christmas gift. And I LOVE the tartan. My clan just got their tartan approved last year after centuries of not having one due to some very interesting intrigue. That’s fabulous to have your own tartan! And I thought I was lucky to find a couple of very small remnants! I’d really love to hear your family story of intrigue if you’d ever like to share it 😉 Have a great week! Thank you for sharing at this weekend’s Posts Show Off Blog Party. I love this simple and cute idea. Thanks so much for dropping by. Life is complicated enough so simple crafts are where it’s at for me! Thanks for stopping by Family Fridays at Livin’ The Mom Life! 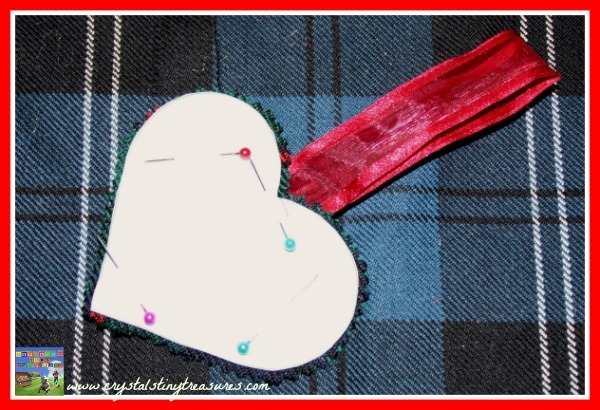 Thank you for sharing your blog post on the Hearts for Home blog hop last week. Your post has been selected to feature on Monsters Ed Homeschool Academy’s Hearts for Home, Christmas themed, blog hop this week. Congratulations!!! 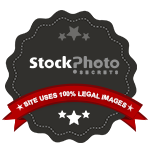 Please be sure to grab the “I was featured button” to place on your blog.